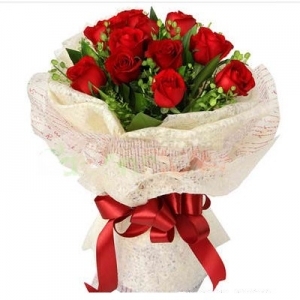 Make today sweet with a delivery of this bouquet of 12 hot red roses. This classic one is the perfect way to celebrate! Share the gift of beauty today with a personalized card message. .